My hometown Walgreens was closed last year due to a slow-moving landslide. Yes, a landslide. It’s a shame, because Walgreens offers so many great ways to save money in their stores and pharmacies. Luckily, I could still take advantage of all the ways to save money online, including web-only deals and free shipping on orders of $25 or more. If you love shopping at Walgreens, make sure you’re using these strategies to save the most money on your in-store and online purchases. To get the best deals, you’ll need to sign up for the Walgreens savings program, Balance Rewards. Members get special savings deals and can take advantage of paperless coupons. In addition, you’ll accrue points that turn into cash at the register. Different purchases help you earn different amounts of points, but you’ll earn 10 points for every $1 spent on most over-the-counter items and 500 points for each prescription. When it’s time to redeem your points, 5,000 points will save you $5 on a future purchase. As one recent article on The Penny Hoarder noted, Walgreens offers plenty of fitness-oriented savings strategies. Their Balance Rewards for Healthy Choices campaign offers points for making healthy lifestyle choices such as exercising. You earn 250 points just for connecting a device (such as a Fitbit) and 250 points for setting your first goal! Once you get started, you can even earn points for your daily exercise. Walking a mile earns you 20 points — so yes, you’ll be earning points just for walking around the store. Taking steps to monitor your health, such as weighing yourself, managing your blood glucose, checking blood pressure and working on quitting smoking, all help you earn more points. The homepage of the Walgreens website is chock full of coupon codes and deals. From 20% off contact lenses to 50% off photo cards, you’ll find ways to save in a number of departments. These online-only deals they tend to change weekly, but if you can catch them, they offer incredible savings. For example, I saw an offer for 100 points for every $1 spent on vitamins and supplements, many of which were up to 50% off. That’s 10 times more points than you’d normally earn on vitamins, plus they’re on sale! 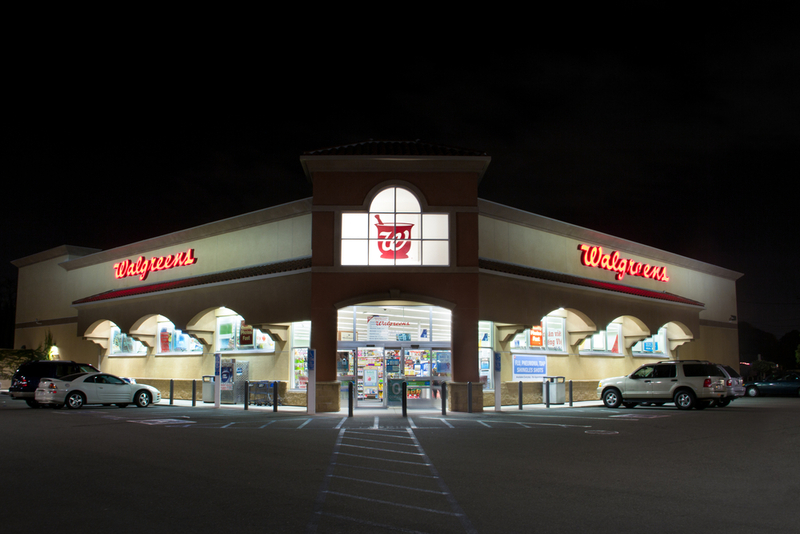 You don’t have to just collect benefits from Walgreens. If you’re ordering online, double up on your benefits by shopping through a portal site such as Ebates, or consider using a credit card that earns you airline miles, cash back or other perks. “Like” or “Follow” Walgreens on Twitter and Facebook to stay on top of the best deals, special offers and even special social-media-only deals, such as a recent offer on select brands of nail polish. Make your dollar stretch further by paying less than a dollar for it. Confused? Welcome to the world of buying discounted gift cards. When people don’t want a gift card, they sell it on sites like Raise.com for less than the card’s face value (for example, a $50 gift card might sell for $45). When you use that gift card at Walgreens, it’s worth $50, but it cost you less than that! Simply search the site to see what kinds of deals you can get on Walgreens gift cards. You can even sign up for an email alert so you’ll be able to have a crack at new gift cards as they become available. You don’t even need to dig out the scissors and round up a paper flyer to take advantage of many Walgreens coupon deals. Simply go online and load up your Balance Rewards card with the latest flyer deals. Then, when you’re in the store, swipe your card to get the best deals. Say goodbye to fumbling with crumpled coupons at the register — it’s automatic savings. High blood pressure can be a serious health problem. However, Walgreens offers a way to learn more about your health by offering a free blood pressure test which includes a consultation. While this test isn’t a substitute for a consultation with a doctor (and they encourage you to share your results with your primary care physician), it’s a good way to learn what your blood pressure is and if you need to take action to get it to a healthier level. It’s a quick way to check on your health while you’re out shopping, prior to making a dedicated appointment with your doctor. Select Seniors’ Days offer AARP members 55 and older up to 20% discounts on certain items. The discount typically only applies to regular-priced merchandise, and you must have a Balance Rewards card. Yet another reason to sign up! If you use a lot of medications, consider joining the Prescription Savings Club for deals on more than 8,000 medicines, immunizations and more. You’ll quickly recover the price of membership ($20 for an individual or $35 for a family) if you or your family needs prescription medications on a regular basis. Walgreens estimates that someone using Fluticasone Nasal Spray will save $324 per year on that medicine alone. Additional savings apply to many immunizations (typically 5-20% off), as well as other in-store Healthcare Clinic services and certain store brands. The program is not considered insurance and is not compatible with Medicare, Medicaid or other such programs, so be sure to read the full rules and regulations. Your Turn: Do you have a trick for saving money at Walgreens? Share it in the comments! Affiliate Link Disclosure: We have a serious Taco Bell addiction around here. The affiliate links in this post help us order off the dollar menu. Thanks for your support!